Really pleased to be taking part in the Perpetual Page-Turner's Year-End Survey for the first time! The questions are brilliant - thanks Jamie! About a dozen, I think. Mainly from Lawrence Block's Burglar series! 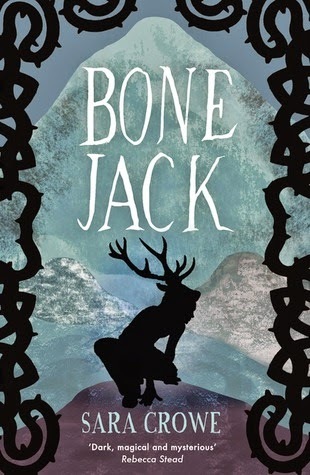 Bone Jack by Sara Crowe, just ahead of Five Children on the Western Front by Kate Saunders. Other ones I loved can be found in my awards posts. I absolutely loved Dash & Lily's Book of Dares when I read it a couple of years ago and was excited to see the other two David Levithan and Rachel Cohn books released in the UK; sadly neither ended up being to my tastes. 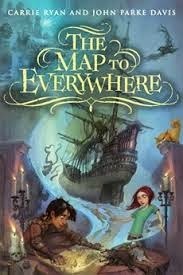 I haven't read any of Carrie Ryan's YA but her MG novel with husband John Parke Davis, The Map To Everywhere, was utterly spectacular. 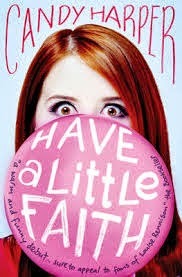 Got to be Have A Little Faith - I think I gave about a dozen copies away this year; most people seemed to love it. Girl With A White Dog by Anne Booth was one I bought three copies of to lend out to people, while Mel Salisbury's fabulous debut fantasy The Sin Eater's Daughter has been slowly working its way around my book club before its official 5th February release, and I've bought four copies (in hardback!) of Lisa Williamson's amazing The Art of Being Normal, so I can give them to people. magic books which I'm going to be mentioning a lot here, Magic Marks The Spot and The Map To Everywhere, and three stunning Egmont MG series, Jason Rohan's Sword of Kuromori, Jane Hardstaff's Executioner's Daughter, and Sophia McDougall's Mars Evacuees. Series ender - YA and adult - I can't think of much that's finished this year; I may be forgetting something. 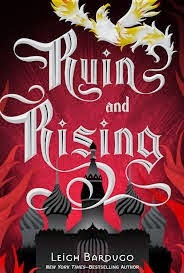 However, whatever I forget, it's unlikely to be as incredible as Leigh Bardugo's Ruin and Rising or Tom Pollock's Our Lady Of The Streets, so no real harm done. MG - Has to be Susie Day's Pea's Book of Holidays; gorgeous! Non-debuts, or debuts? Non-debuts, I finally got round to Melina Marchetta (thanks Caitlin for the rec!) and OMG JELLICOE ROAD IS INCREDIBLE. 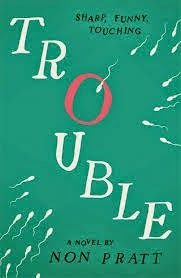 Debuts - Sara Crowe, of course. Not sure if I 'discovered' Non Pratt in 2014 as I already knew her so I was convinced Trouble would be amazing, but it was good to read it and find out that it definitely was. Duo Lucy Ivison and Tom Ellen were brilliant with Lobsters as well. As for 2015 debuts - let's just say that I will be AMAZED if Sarah Benwell and Lisa Williamson aren't staggeringly hugely well-known authors in 12 months time. 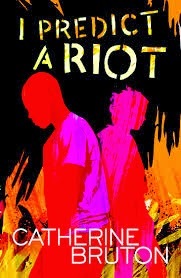 Two of the most outstanding YA books I've read for a long, long time. There are also brilliant fantasy books coming from Melinda Salisbury and Abi Elphinstone - get ready to fall in love with The Sin Eater's Daughter and The Dreamsnatcher, respectively. Not a sci-fi fan at all, but Sophia McDougall was kind enough to give me a copy of Mars Evacuees and I thought it was awesome! Another sci-fi I absolutely loved was Grasshopper Jungle by Andrew Smith. I'm not that big of an NA fan generally but Molli Moran's One Song Away was briliant, with great chemistry between the two leads, Jake and Sophie-Claire. Lots of great, exciting reads, with most of them being MG, I think. 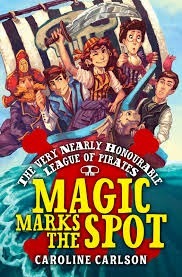 Again, pirate and magic combinations The Map To Everywhere and Magic Marks The Spot feature highly in this category. However the most exciting of them all was a YA book, the fourth Department 19: Zero Hour; this is a staggeringly good series. 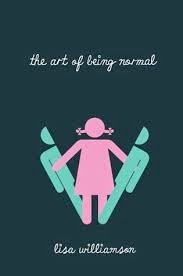 I absolutely adored The Art Of Being Normal, as I may have mentioned on Twitter a few hundred times, and will be reading one of my finished copies very very soon! 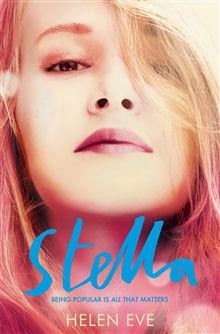 Bringing Kat Stephenson back, even for a novella (Courting Magic) rather than a novel, guaranteed Stephanie Burgis had this - my favourite heroine ever. 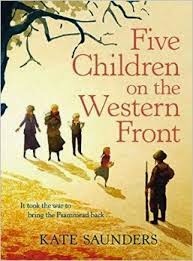 I also loved the way Kate Saunders developed E Nesbit's Psammead into a much darker character in Five Children on the Western Front. Jellicoe Road is up there, as is Blue Lily, Lily Blue. Can't quite pick between them! 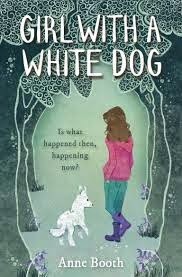 Girl With A White Dog by Anne Booth, a stunningly powerful read. I FINALLY got round to reading Anne of Green Gables after it was recommended by my friend Stacey and loved it - definitely want to read more by LM Montgomery next year. "'Happy ending?' the Professor echoed dreamily, as if talking to himself. 'Yes, there were still happy endings in those days.'" "Far away in 1930, in his empty room, the old professor was crying." had me in absolute floods of tears. Hugely emotional. I have no clue as I don't really keep records! I'd say The Last Of The Spirits may well be the shortest; longest I'm not sure of at all. Possibly Department 19:Zero Hour. I've seen a few people describe the ending to The Iron Trial as obvious; it took me completely by surprise. A huge amount here! See my best pairings section of the year-end awards for more, but as a start - the lead characters and their mums in Clare Furniss's The Year of the Rat and Sarah Crossan's Apple and Rain, friendships between Billy D and Dane in Dead Ends and Marrill and Fin in The Map To Everywhere, and the rivalry between Caitlin and Stella in Stella. I think the Sesame Seade trilogy, pushed on #aryaclub by Cait, which we pretty much all fell in love with, fits the bill here. Apple and Rain was one I only really got around to because Debbie was a huge fan but I adored this one as well. 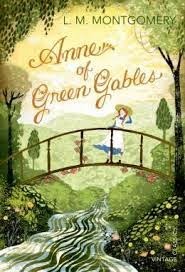 I've had Anne of Green Gables on my radar for quite a long time without it ever really getting close to the top of my TBR pile, but Stacey's fabulous guest post on my blog made me read it and I LOVED it. The Map To Everywhere is one I would probably have meant to get around to without actually picking up (it came out at a busy time!) but I was incredibly grateful that Charlie shoved it into my hands and said "READ THIS!" (Given she also recommended The Art of Being Normal and The Last Leaves Falling, it's fairly clear who had the biggest influence on this survey! 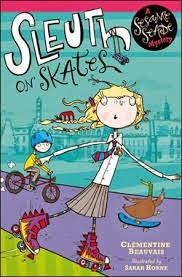 I absolutely adored Hilary's governess in Magic Marks The Spot. Sophie-Claire in One Song Away by Molli Moran was great as well. 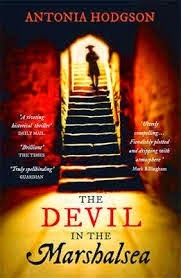 Also, murder suspect Fleet in Antonia Hodgson's The Devil in the Marshalsea is an incredible character. So many amazing ones! Far From You was utterly superb while in the UK in addition to Sara Crowe's Bone Jack (as mentioned above, my overall book of the year) I'll go with Non Pratt's Trouble, as living up to the massive expectations we all had of her was tough, but it ABSOLUTELY did. 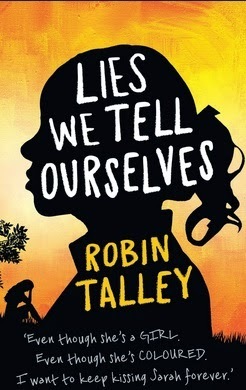 Also wonderful - Lucy Ivison and Tom Ellen's hilarious Lobsters, Anne Booth's incredibly powerful MG novel Girl With A White Dog, and back in the US Robin Talley's Civil Rights era LGBT love story Lies We Tell Ourselves was another hard-hitting but brilliant book. Again, a huge amount of great contenders. (The Map To Everywhere could be my answer to about a dozen of these, to be honest.) 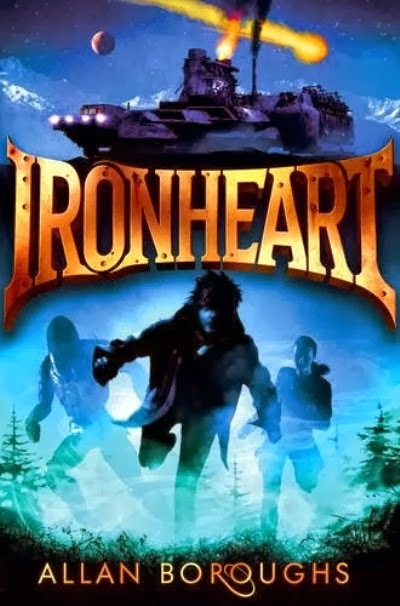 I loved the post-apocalyptic setting in Allan Boroughs's Ironheart, though (and the sequel, Bloodstone, is even better! 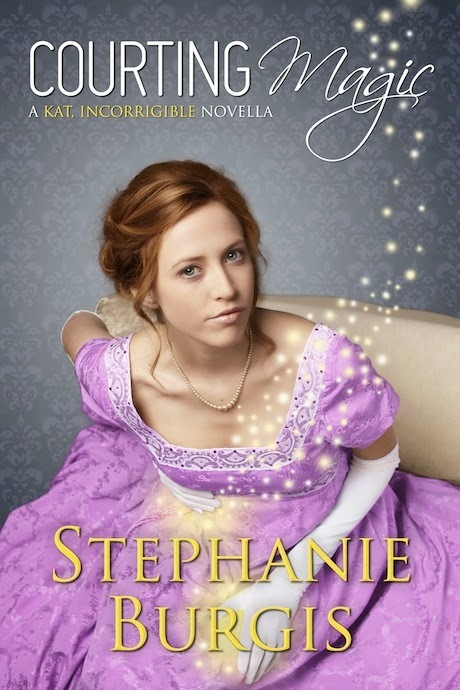 ), while Stephanie Burgis, as ever, married Regency England to a world of magic superbly in Courting Magic. And, of course, speaking of historical/magical mash-ups I have to mention Magic Marks The Spot yet again! The Map To Everywhere is up there towards the top of this list, as is Magic Marks The Spot. (Surprised?!) YA-wise, Grasshopper Jungle is more enjoyable than anything featuring giant praying mantises overrunning the world eating people has any right to be. 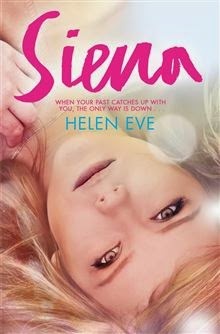 Stella - Gossip Girl meets Great Expectations - by Helen Eve was a really underrated one, I think, as was RJ Morgan's Fifteen Bones. Also I really rarely recommend self-published stuff but a few well worth mentioning (other than GLAZE by Kim Curran, which is superb but which a lot of people who follow me will already be aware of.) SL Huang's Zero Sum Game is an adult thriller but one which I think has HUGE appeal to YA fans, it's incredibly pacy, really good fun, and raises some interesting moral questions about protagnist Cas's actions - while the sequel Half Life is even better. Mollie Moran's NA One Song Away is a delight, a sweet country-tinged romance. Nick Bryan's The Girl Who Tweeted Wolf is a great comic crime caper; looking forward to reading book 2, Rush Jobs, very soon. The Last Leaves Falling. In a good way, but STILL. 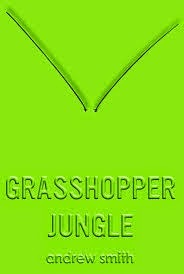 I never realised the one thing that would make a coming-of-age story even better would be praying mantises and the potential end of the world, but Andrew Smith showed in Grasshopper Jungle that it absolutely did. I also thought Afterworlds by Scott Westerfield was excellent, although for me the contemporary sections were stronger than the paranormal romance Darcy was writing. I quite liked my Girl Online review. Also, sneaking a 2015 one in to take advantage of my lateness in posting this, I was pleased with my Siena review. I had a fab discussion with hybrid authors Laura Lam, Kim Curran, Keris Stainton and Siobhan Curham for UKYA Day! Twenty Authors You Should Be Following On Twitter was huge fun to do, as well. 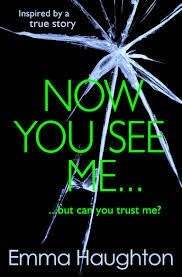 Has to be YALC, I think! Really hope it goes ahead in 2015. I was lucky enough to have Michael Grant posting about the GONE TV show and my views were through the roof! There were so many fab guest posts in Indie Advent that I wish more people had read them ALL! The gorgeous Tales On Moon Lane became one of my favourite ever shops as soon as I set foot in it, but I loved it even more once my friend Jen started working there! I have become pretty much a weekly visitor now and the staff there are all amazing. Lots of other brilliant bookshops which I hadn't visited before as well, with this year being one when I really started trying to purchase from indies more. Special mentions to Gay's The Word for having some great books and wonderful events - loved the Writing LGBTQ Books for Children event with BJ Epstein where I first met my friend Charlie in person, and Big Green Bookshop, which has amazingly good staff and a ferociously brilliant social media presence, as well as stocking a superb range of books. No, although I honestly can't remember if I set myself any! The Darkest Part of the Forest by Holly Black sounds sensationally good and Charlie recommends it highly, which is always a good sign. 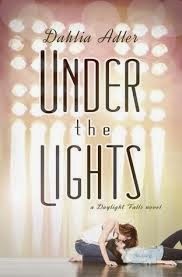 Dahlia Adler's Under The Lights sounds fabulous as well; I love contemporary LGBT and given Dahlia's an expert on great QUILTBAG books then I'm assuming she'll be a stunning writer of them. I have a feeling I've already read the two best debuts of the year; it's REALLY hard to believe there's anything out there as good as The Art Of Being Normal and The Last Leaves Falling. That said, I'm always hopeful, and there's a ton of others that look potentially fantastic! 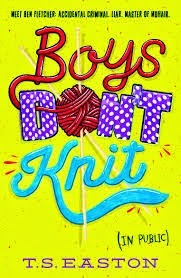 I did a blog post a few weeks with my most anticipated contemporary ones, of which Simon vs The Homo Sapiens Agenda was probably top (I've read it since then and it's BRILLIANT! 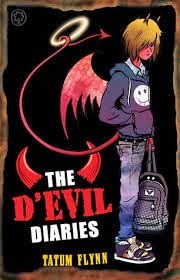 ), while moving away from contemporary, Tatum Flynn's D'Evil Diaries looks like an absolutely brilliant MG fantasy. The three I am REALLY desperate for are Will Hill's Darkest Night, the climax of the Department 19 series, the fourth in Maggie Stiefvater's Raven Cycle, and the final book in Daniel Abraham's magnificent adult fantasy sequence The Dagger and the Coin. Get less stressed about it! 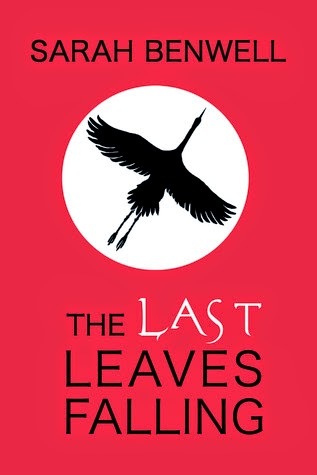 Sarah Benwell's The Last Leaves Falling is a staggering book; beautiful and hugely moving. Don't miss it! Similarly, Lisa Williamson's The Art Of Being Normal is phenomenally good and deserves to be on everyone's TBR pile. Thank you, Jamie, for such brilliant and thought-provoking questions!